A Visio user recently asked how to add a salary amount for an Org Chart person automatically, based on their selected Level. I thought it was a bit long to answer in the forum, so I have written my answer below. It demonstrates how you can have your own custom template that works with the Organization Chart add-on in Visio. 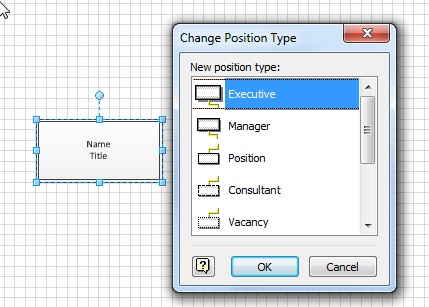 My approach to creating a custom template that still uses the Organization Chart Add-On is to create a new drawing from the built-in template, and then to add extra properties to it. First, select Show Document Stencil to view all of the local copies of the built-in master shapes. If they are not there, then simply drag and drop them from the built-in stencil on to the first page, and then delete the shapes on the page. This will not delete the local copies of the masters. You should check that the Match master by name on drop property is ticked for each master in the Document Stencil, otherwise the Org Chart Add-On may decide to use the original Organization Chart Shapes stencil master with the same name. Open the ShapeSheet of the Document by using the Show ShapeSheet drop-down menu on the Developer tab. Note that the salaries are entered as numbers without the currency symbol. Now, each of the relevant master shapes need to be updated with the new properties. The Prop.Level Shape Data row has type formula =GUARD(1) because it is a fixed list, the Format formula is =TheDoc!User.LevelList , and the Value formula was created by selecting Vacant from the Shape Data window. The Prop.Salary Shape Data row has type formula =GUARD(7) because it is a currency, and the Value formula will be created by selecting any Level value from the Shape Data window. This will update the value of the Salary cell when a new Level is selected, and, moreover, the value will change if you update the User.SalaryList values in the Document ShapeSheet. Now, you can save your Executive master, and it will have the updated functionality. However, there are seven almost identical masters for Position Type in the Organization Chart stencil, and each of these need to be updated identically! All you need to do now is save your drawing as a Visio template, and you are ready to create Organization Charts from your new template! I just updated the last part of the code … I didn’t expect the number of User-defined cells to be different in each Position Type master! How would we find the document shapesheet? In my Visio 2007 Pro , I can’t find it? Open the Drawing Explorer window from the View menu. Yup, that sounds correct … I should have taken the screenshot when I had selected vacant in the drop-down. This is just amazing stuff. I am NOT technical person at all and following your directions, it works perfectly… now to figure out how to best display the sum of all the salaries on the page. I have added the XML for the Report Definition to the end of the post…. I can hardly wait for your book to arrive. This is going to be some good reading. When I saved it from Notepad as an ANSI file TotalSalaryCost.vrd, Attempting to run the report yielded a message box saying this is not a valid report definition. A string literal was expected, but no opening quote character was found. So… I tried saving it as as a UTF-8 file and the message was this is not a valid report definition. An invalid character was found in text content. This is after changing the quote character to ‘straight quotes’. I did this as I found it to be a problem when I was making entries in the shapesheet and entering the VBA code. 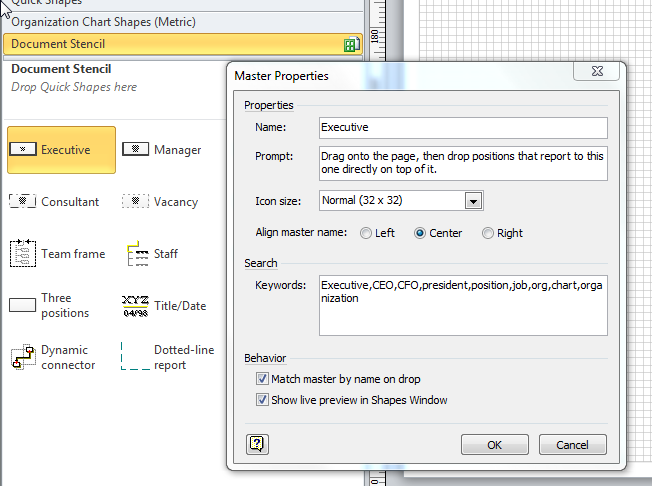 No shapes have the selected properties or satisfy the report selection criteria. 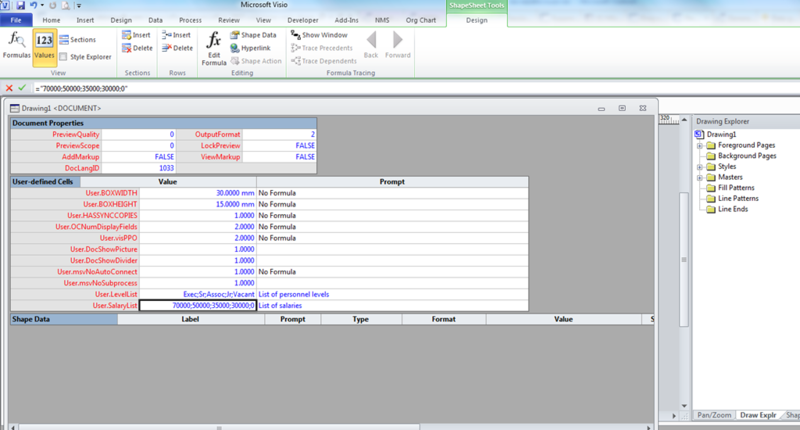 Add property values to the shapes or select a different report definition, and try again. I checked all the shapes and masters and all have the correct fields and the report parameters look correct when seen through ‘Modify report’. How odd. Ensure that there are shapes on the page(s)? You have been very, very helpful and I thank you again. I created a small 3 shape org chart and saved it. All shapes verified as correct and populated with data… unless I missed something but with only three shapes that is had to imagine. David, I got it to work. It seems that the ‘No shapes have the selected properties or satisfy the report selection criteria.’ msg was referring neither to fields nor values but, rather, to labels. So I went back to all the master shapes and added labels to the shapesheet for Level and Salary fields and now it works. Is there a way to make this report Drawing Specific or such that there is no need to browse and find the report prior to running? I think that the way it is now means if I emailed the VSD file, I would also have to email the VRD file. Is there a way to apply this template to an existing org chart or must I start anew with this template? Okay, thanks. BTW, I will be posting a link to this solution on Eileen’s Lounge, formerly Woody’s Lounge. I invite you to check out the Lounge (http://eileenslounge.com/index.php) – great group of people and expertise but, alas, no Visio experts. Your participation would be most welcome. Visio issues are addressed in the ‘Other MS Office Applications’ forum. As Visio participation increases, we will have our own Visio forum. I have found that with so many vacant positions, the report shape is very long and narrow… too much to be really useful. How might I modify the report XML in order to show totals by level and salary only without listing them all. Or, if they must be listed… to be grouped by level and listed by title. My primary concern is the grand total of Salaries. Thank you… I tried several variations and found that show subtotals only was closest to what I needed. I surely appreciate your help. I like the fact that this solution allows the user to overwrite the computed salary however, it occurred to me that I might overwrite then want to put back the original salary formula. So.,.. I thought I could cleverly write a macro that I could run on selected shapes. For whatever reason, I get a msg saying that this method is not supported. I am using Visio Pro 2007. Here is the macro – very short, and, no doubt, very inefficient (even if it did work). Where am I going wrong? Great! I tried and had to tweak it a little… No, that implies I actually knew what I was doing… I tried a couple of changes and it works fine now. Here is the final code. Visio concepts are bit out dated now isn’t it? Its damn expensive as well as hard to deal with. I use a online organizational chart software and it is platform independent. Just want to suggest that here, even though there’s not much of a relevance. I appreciate the suggestion but there is more to Visio than is available in a web-based app, and some companies do not allow such sensitive information to go anywhere near a cloud. Thanks for the article, it has helped me make some progress with an org chart I am importing from excel data but I haven’t quite made it all work yet. Do you have any advice on how to use a saved template in conjunction with the org chart wizard? When I use the wizard currently it adds the shapes in as shapes which I don’t appear to be influencing via the document stencil/master shape changes I am making. The full details of my aims and progress (or lack thereof!) are posted on the Visio Guy forum at: http://visguy.com/vgforum/index.php?topic=6308.0 which helpfully steered me to this article. 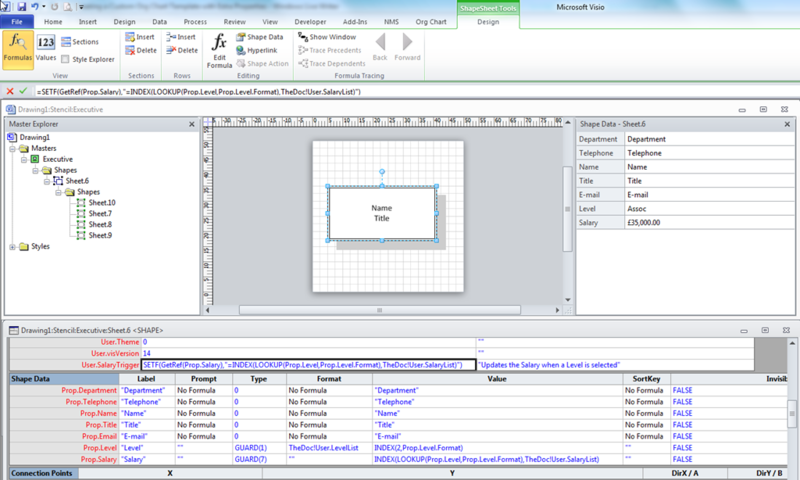 In Visio 2013, if you have made your own org chart template (and ensured that Match Master by Name property is ticked on each custom master in your document stencil), then you must start the wizard once you have created a new drawing from the template because just starting the wizard from the backstage view will open the built-in Microsoft Visio template. In addition, you will not be able to use other than the “Belt” shapes, because changing the shapes on the Org Chart ribbon will replace your shapes with the built-in ones. You can find some more org chart templates in the diagram resource (creately diagram community). There are 1000s of organizational chart templates to be used freely to create diagrams. Sorry for bothering you with questions, but I’ve got a very difficult “exercise” from my bosses. I have an org chart with people from different cities. All information is imported from Excel file. Is there any way to add colored tags with city 3-letter codes to each person? The Excel file contains these city codes. Say, green oval with “NYC” for people form New York, blue oval with “MOS” for people from Moscow, etc. If you have any suggestions or advice, I would be terribly grateful. You can also contact me via LinkedIn. You can use Data Graphics Text )Circle or Triangle) for the 3 letters, and Color by Value for the fill of the whole shape. If you want a different shape, text and color for city, then you will need a custom shape. The Org Chart Wizard does not do this out of the box. 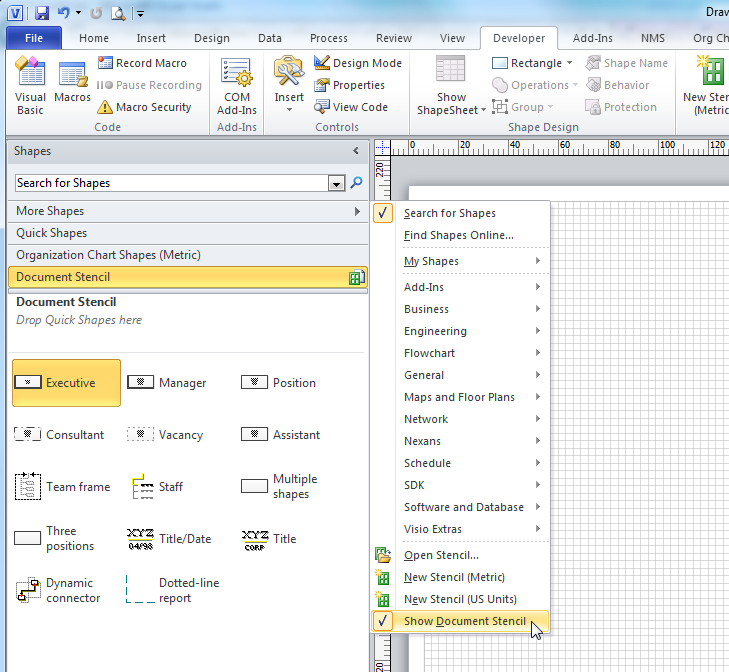 The Pivot Diagram feature does enable you to break down data by different categories ….